CIT, Cochin vs. Carbon & Chemicals India Ltd.
C.N. Ramachandran Nair, J. – This is an appeal filed by the revenue against the order of the Tribunal reversing a rectification order passed under section 154 by the Assessing Officer confirmed in first appeal against the respondent assessee. We heard standing counsel for the appellant and senior counsel Sri Joseph Kodianthara for the respondent assessee. 2. The assessment is for the year 1997-98. The Assessing Officer noticed that the income computed based on return filed is below 30 per cent of the book profit and, therefore, assessment was proposed on 30 per cent of the book profit under section 115JA of the Income-tax Act. The assessee claimed deduction of Rs. 1,43,11,514 as carry forward depreciation, which was originally allowed by the Assessing Officer while completing regular assessment. However, later the Assessing Officer noticed that, by virtue of clause (b) of Explanation (iii ) of section 115JA, deduction is admissible only if assessee has brought forward business loss as well as depreciation for the previous year. It was noticed that the carry forward business loss at the end of the year 1994-95 was Rs. 1,07,74,451 and the carry forward depreciation was Rs. 5,78,04,819. However, for the assessment year 1995-96, the profit was Rs. 1,17,61,492. When the brought forward business loss was set off from the profit for the year 1995-96, the balance loss was nil. So far as depreciation is concerned, during the year 1994-95, the assessee changed the pattern of depreciation claim and decided to write back an amount of Rs. 5,32,63,877, which led to the reduced carry forward depreciation of Rs. 5,78,04,819 stated above. Since the result of setting off of carry forward business loss against the profit for the year 1995-96 was nil, there was only a brought forward unabsorbed depreciation of Rs. 4,83,87,788 and so much so, the Assessing Officer noticed that the claim originally allowed was in violation of clause (b) of Explanation (iii) of section 115JA because, the said section require availability of brought forward business loss as well as depreciation. In view of this mistake, in the original computation, the Assessing Officer rectified the assessment under section 154 of the Act. Against the rectification carried out, the assessee filed first appeal before the CIT(Appeals), who dismissed the case, both on the jurisdictional aspect as well as on merits. However, assessee succeeded in second appeal before the Tribunal and against the order of the Tribunal, the Department has filed this appeal. 4. Even though Counsel appearing for the respondent contended that the figures were available with the Assessing Officer during the original assessment and therefore, rectification is only an afterthought and on account of the new interpretation placed by him on clause (b) of Explanation (iii ), we find that the provision which is introduced by the Finance Act, 2002 with effect from 1-4-1997 was to get over the decision of a Supreme Court and it makes it mandatory that, in order to allow deduction of brought forward business loss or unabsorbed depreciation in the computation of book profit, both should be available as per the accounts of the assessee. When original assessment is completed without reference to the statutory provision and in clear violation of the same, such assessment happens to be a mistake, that could be rectified under section 154 of the Act. We, therefore, answer this question in favour of the revenue by reversing the finding of the Tribunal and by holding that rectification carried out is valid. 5. The next question is on the merits of the case where the issue is only a factual one, that is, whether assessee had brought forward business loss as well as depreciation in the end of the previous year. According to the assessee, depreciation is lesser when compared to the brought forward business loss. On this issue, the Tribunal allowed the claim based on assessee’s contention that, if FIFO method is applied, assessee is entitled to limit the set off of business loss brought forward up to the year 1993-94 against profit for the financial year 1995-96 on Rs. 7,36,68,187 so that, the balance brought forward business loss is available with them, which will be Rs. 3,40,76,274. It is seen that the Tribunal had accepted the FIFO method furnished by the assessee, the details of which are stated in the Tribunal’s order in paragraph 8. However, we do not know how the FIFO method can help the assessee in this case because, it authorizes only setting off profit of the subsequent year against brought forward business loss or depreciation of the earliest years first, then next year’s and so on and it does not entitled the assessee to bifurcate the brought forward business loss, partly set off against profit and then to allow part of the carried forward loss again to be retained when there is profit to absorb the full loss. What is referred to in clause (b) of Explanation (iii) to section 115JA is about the brought forward business loss or unabsorbed depreciation available at the end of the previous year. It is for the assessee to first set off the profit against brought forward business loss and then to set off the balance profit, if any, against brought forward depreciation. Admittedly, if the brought forward business loss of Rs. 10,77,44,461 is set off against the profit, then the balance brought forward business loss available will be nil because, the profit available during 1995-96 was Rs. 11,71,61,492. We do not know on what basis the Tribunal allowed the brought forward business loss to be bifurcated with the figure available up to the end of 1994-95 and permitted the assessee to set off only the loss up to that year retaining a balance of Rs. 3,40,00,000 towards balance brought forward business loss. In our view, the FIFO method of setting off applies only when more than one year’s brought forward business loss or unabsorbed depreciation are set off against profit available in later years. Since the profit for 1995-96 was such as to absorb the entire brought forward business loss, the whole loss gets set off leaving no carried forward business loss for the next year. 6. Counsel for the assessee submitted that assessee is entitled to set off brought forward business loss and unabsorbed depreciation simultaneously for the succeeding year. We are of the view that when business loss carried forward is set off against profit for the year 1995-96, assessee is not entitled to limit set off of loss brought forward up to 1993-94. It is pertinent to note that even if profit was set off only against brought forward depreciation, then under the head of unabsorbed depreciation, there would have been nothing left entitling the assessee for deduction in terms of clause (b) of Explanation (iii ) of section 115JA(2) of the Act. Since nothing is left after setting off brought forward business loss up to 1994-95 against profit, assessee is not entitled to any relief under clause (b) of Explanation (iii) of section 115JA of the Act. We, therefore, answer the question on merits also in favour of the revenue by reversing the order of the Tribunal and by restoring the assessment confirmed in first appeal. Appeal is allowed as above. This entry was posted in Sec. 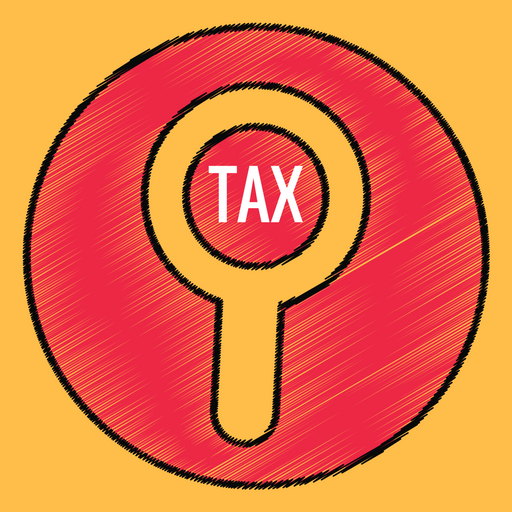 115JA, Section 154 and tagged 344 ITR, In favour of Revenue, Kerala High Court, minimum alternate tax.